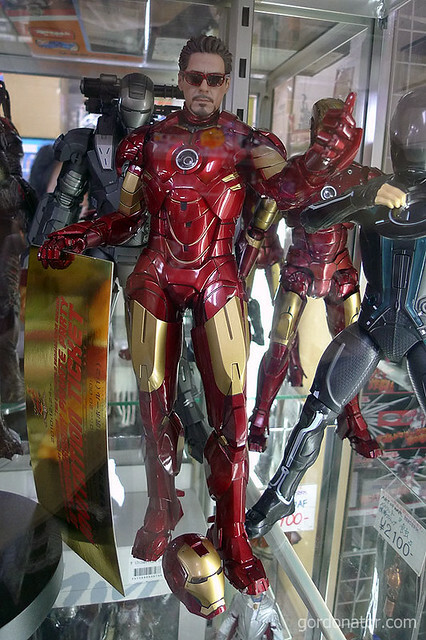 Saw this Hot Toys Iron Man Mark IV on display in Akihabara last week. I already have the Mark III Battle Damage ver. but very tempted to get this one as well. The Tony Stark’s head is such a draw! The action figure is already released and from some reviews I’ve seen, the first batch seems to be some defects on the back. Wonder if you can pull his head off?